Platinum Love Bands™ with channel set diamonds held between platinum rims. Platinum Love Bands™ with engraved semi-circle motifs. Platinum Love Bands™ with wave engraving for him and an added single diamond for her. Platinum Love Bands™ studded on the edges with 0.23cts diamonds for her and 0.36cts for him. Platinum Love Bands™ with flush set diamonds in 0.25cts. Diamond studded Platinum Love Bands™. Platinum Love Bands™ with channel set diamonds. 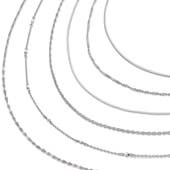 Platinum Love Bands™ with and intersecting line of diamonds. Platinum Love Bands™ in a combination matt/hi-polish finish. Textured Platinum Love Bands™ in a hi-polish finish. Platinum Love Bands™ with square engraving. Platinum Love Bands™ in matt finish. Platinum solitaire in caterdral setting with diamond wave on the side. Platinum soliatire rings with prong set diamonds. Platinum solitares studded with prong set and channel set diamonds. Platinum solitaire ring in hi-polish finish. Seamless platinum couple bands with channel set calibrated diamonds symbolising the circle of love when joined together (His: 8.2gms with 0.16cts diamonds )(Hers:6.3gms with 0.11cts diamonds). A remarkable pair of platinum love bands in satin finish and prong set solitaires. We bring together an exclusive platinum couple band in satin finish and solitaires to celebrate your platinum day of love. (Pt.Wt - 9.64 gm & 6.00 gm/ D.Wt - 0.04 ct & 0.02 ct). A classy pair of matt finish platinum love bands with pave set diamonds. A classy new avatar of platinum love bands in pave set diamonds and a high polish strap set in the centre. (Pt.Wt. - 7.70 gm & 5.30 gm/ D.Wt - 0.06 ct & 0.16 ct). Memoirs of your love engraved deep in matt finish platinum love bands with solitaires. Years later when you will recollect the precise moment when you exchanged you love bands, your memories will be as clear as the everlasting shine on your platinum love bands. An elegant pair of platinum love bands in satin finish and channel. 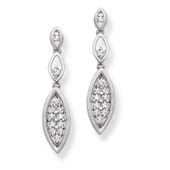 Designed in satin finish with steep clean cuts ending in a channel like diamond setting. (Pt.Wt - 8.13 gm & 6.48 gm/ D.Wt - 0.08 ct & 0.06 ct). A stylish set of platinum love bands in matt finish and flush set diamonds. Your Platinum Day of Love is truly special date when you discover true love. Platinum communicates with you more than any piece of jewellery in your collection because you place your emotions in them. A contemporary dual finish pair of platinum love bands with pave set diamonds. A contemporary pair of platinum love bands. A clean matt finish and high polish ring for him and a matt finish ring with a pave set diamond trail on a slant across for her. Compliment yourself and your partner with a fine high polish pair of love bands. Platinum wants you to relive the magic you experienced when you found your match. Hence, every platinum love band has its match to compliment you and your partner. An understated sophistication lies in these brush matt finish platinum love bands. Platinum sets a new benchmark for class with its rarity and white lustrous shine. (Pt.Wt - 6.63 gm / 7.98 gm, D.Wt - 0.12 ct). Clean high polish lines overlapping matt finish platinum love bands. Let the greyish patina of platinum speak out your love story when years later you hold hands on a park bench and relive the magic. (Pt.Wt - 3.80 gm & 2.60 gm). Link chain platinum love bands in matt finish and high polish for him and her. Link chain platinum love bands in matt finish and high polish for that contemporary stylish look for today’s enigmatic couple. (Pt.Wt - 2.80 gm & 4.20 gm). A chic set of platinum love bands in high polish and prong set diamonds. Commemorate love with these spectacular platinum love bands set on a global theme, ideal for the effervescent couple. (Pt. Wt - 6.58 gm/ D.Wt - 0.06 ct & Pt. Wt - 3.92 gm / D.Wt - 0.08 ct). A piece of your heart embedded on each matt finish platinum love bands. Platinum provides you an opportunity to give a piece of your heart when your relationship has reached a plane of deep satisfying intimacy. (Pt.Wt - 3.73 & 5.34 gm / 0.04 ct). Platinum love bands for a couple in true love in matt finish with high polish ropes. 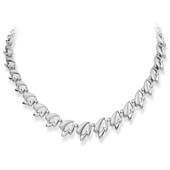 The Monalisa of metals, platinum is the ultimate canvas for any jewellery designer. Such a form of inspiration is visible in these simple yet elegant platinum love bands. (Pt.Wt - 9.15 gm & 5.06 gm). Dew effect platinum love bands with dot texture in matt finish and solitaires. A frost look matt finish platinum love band with dot texture like a still dew effect accentuated with solitaires. (Pt.Wt - 5.70 gm & 8.99 gm / D.Wt - 0.10 ct / 0.20 ct). Platinum love bands in high polish bands with pave and channel set diamonds. Platinum love bands coupled with solitaires captures your bond of togetherness for life. (Pt.Wt - 7.59 gm & 5.37 gm/ D.Wt - 0.10 ct & 0.16 ct). Matt finish platinum love bands with brushed earthen grooves. Matt finish platinum love bands with brushed earthen grooves that is reminiscent of the love that you share with each other. (Pt.Wt - 8.76 gm & 7.12 gm/ D.Wt - 0.09 ct / 0.09 ct). Dual finish platinum love bands with channel set diamond. Naturally white, platinum brings out the brilliance of diamonds like no other. Dual finish platinum love bands with channel set diamond. (Pt.Wt - 8.76 gm / 7.12 gm, D.Wt - 0.09 ct / 0.09 ct). Clean high polish lines running diagonally on textured high polish love bands. it’s an occasion when you want to seal true love for eternity. Clean high polish lines running diagonally on textured platinum love bands (Pt.Wt - 6.35 gm & 4.32 gm). A platinum love band collection in matt finish for him and flush set diamond. Timeless pieces of platinum love bands created to compliment the two of you. Clean and textured love band for him and a diamond set in hers (Pt.Wt - 7.54 gm & 9.28 gm/ D.Wt - 0.06 ct). An upscale pair of platinum love bands in German matt finish. Platinum is often the key element in bringing international trends and blending it with tradition. (Pt.Wt - 5.40 gm & 2.60 gm). An elegant pair of matt finish platinum love bands with flush set diamonds. Accentuated with a subtle matt finish and flush set diamonds, a perfect symbol of togetherness.(Pt. Wt - 3.440 & Pt.Wt- 5.150/ D.Wt - 0.08 ct each). Platinum discovery of true love in matt finish platinum love bands. A grand creation of platinum matt finish bands with prong set diamonds. (Pt.Wt - 7.92 gm / D.Wt - 0.08 ct, Pt.Wt - 5.88 gm / D.Wt - 0.05 ct). Your platinum moment in matt finish platinum love bands round brilliant diamonds. Platinum commemorates your special moment with these matt finish love bands. Diamonds set in the centre on a matt polish full circle platinum piece. (Pt.Wt - 5.04 gm & 6.30 gm / D.Wt - 0.06 ct). You platinum soul mates in love bands in mill grain and brush finish. This design of platinum love bands in mill grain and brush finish with flush set diamonds is sure to make you feel connected with each other when you are miles apart. A regal appeal in these platinum love bands with prong set solitaire. At the heart of many love stories, platinum has been the metal of choice and nothing illuminates the fire in a diamond like platinum. (Pt.Wt - 7.96 gm & 5.31 gm / D.Wt - 0.14 ct). Curvy brushed and satin finish platinum love band for him and channel set platinum. An expression of eternal romance. 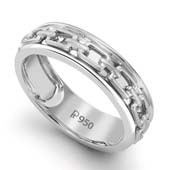 Brushed and satin finish platinum love band for your man. Satin finish with channel set fine diamond line for the woman. (Pt.Wt - 4.73 gm / 7.97 gm / D.Wt - 0.16 ct). Platinum love bands with an Egyptian influence in design, crafted to perfection. Platinum brings through Egyptian influence in this love band design with a promise to celebrate your special platinum moments. (Pt - Wt - 3.51 gm / 2.70 gm). Let platinum be witness to your love with these matt finish diamond studded bands. A symbol of love, platinum love bands have been known to be favoured by royalty and celebrities the world over through centuries. (Pt.Wt - 8.3 gm/ D.Wt 0.07ct & Pt. Wt - 5.47 gm/ D.Wt 0.05 ct). Platinum love bands in matt finish and channel set diamonds reflect your day of love. Platinum symbolises deep everlasting love and endurance with these platinum love bands. (PTK5 Pt.Wt - 6.13 gm & PTK6 5.38 gm/ D.Wt - 26 ct). Elegant platinum love bands in matt and high polish with channel set diamonds. In sync with the sophisticated choices of the discerning couple, platinum love bands with a combination of matt and high polish sheen for him and a considerate touch of diamonds for her. Clean simple platinum love bands in a brushed matt finish look. Simply platinum, brush finished love bands for keeping those vows as eternal as precious platinum. (PtP15 - Pt.Wt - 9.32 gm, PtP16 - Pt.Wt - 6.00 gm). A beautiful pair of platinum love bands with subtle diamond set for the perfect couple. An elegant pair of rings for him and for her with a blend of glisten and winter mist matt finish. (Pt.Wt - 8.19 gm / D.Wt - 0.045 ct & Pt.Wt - 11.34 gm). The day you fall in love may feel like a dream come true. Platinum love bands with a starry effect in matt finish and flush set diamonds. A perfect pair for the dream that comes true and still feels surreal. (Pt.Wt - 4.62 gm & 6.40 gm / D.Wt - 0.09 ct & 0.12 ct). Platinum Love Bands with Flush set diamonds. Platinum Love Bands with Channel set diamonds. Platinum Love Bands with Flush and Pave set diamonds. Plain platinum and flush set Platinum Love Bands. Platinum Love Bands with pave diamonds. "The yin-yang arrangement of diamonds in these Love Bands personifies a union of two distinct opposites, who are filling each other’s weaknesses with one another’s strength. (Men's band- Pt wt:9.43gms, diamond wt:0.06cts)(Woman's band- Pt wt:6.45gms, Diamond wt:0.04cts) "
What better way to celebrate a union than with a meaningful piece of jewellery that symbolises eternal love? 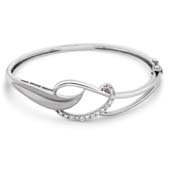 An infinite love knot in these Platinum Love Bands centered on a diamond. (Men's band- Pt wt:10.33gms, diamond wt:0.05cts)(Woman's band- Pt wt:5.53gms, Diamond wt:0.13cts). 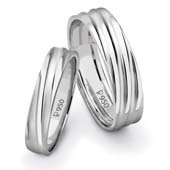 Taking inspiration from the age old expression of holding hands in love, these Platinum Love Bands feature this concept. 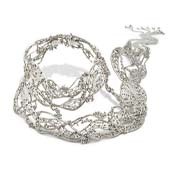 Ribbons of textured platinum intercrossing, just like fingers intertwined. (Men's band- Pt wt:13.24gms)(Woman's band- Pt wt:6.62gms, Diamond wt:0.23cts). Relive the moment you found true love and exchange new vows; with these Celtic knot Platinum Love Bands representative of a timeless future in love. (Men's band- Pt wt:12gms)(Woman's band- Pt wt:8.4gms). That one special moment of finding true love changed both your lives. Make each other a platinum promise of togetherness till the end of time with these platinum love bands. (Men's band- Pt wt6.58gms, diamond wt:0.04cts)(Woman's band- Pt wt:4.23gms, Diamond wt:0.06cts). Platinum's rendition of solitaire bands in a sleek modern twist with multiple finishes. A metaphor of your love - pure, rare and eternal! Two become one: As you hold these frosted, exquisite Platinum Love Bands together it forms concentric circles of love. Expressing love in an intimate language shared between two. Platinum Love Bands in a contemporary design form with channel set diamonds. 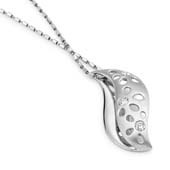 Strong platinum lines branching out with diamond droplets speak of your beautiful and enduring story of love, presented in a contemporary design that is true to platinum. Say I do and seal your platinum love. Platinum Love Bands in a combination of hi-polish and matt finish with flush set diamonds. When it comes to crafting couple bands, it is important to start with a solid foundation. Platinum is a promise of love of a lifetime you can give to each other as you exchange these superbly finished Platinum Love Bands. Hi- polish and matte finished Platinum Love Bands with flush set diamonds. Platinum offers its creative an innovative approach for its breath-taking designs. Inspired from the mirror ball, this striking platinum mosaic is a reflection of today's love, set on equality and deep emotions. Each day, rekindle love with these très chic, high polish and matt finished Platinum Love Bands that represent the wheels of love across your journey of never-ending romance. A touch of masculine sophistication for him and doused in feminine grace for her ring. These multi-finish Platinum Love Bands celebrates the circle of love and life in all its glory. Having its twists and turns, yet built on a solid foundation. This design is inspired by the garden of spiral creepers that twist their way around in an infinite circle. Modern textures and streamlined surfaces, yet a classic that is timeless. These Platinum Love Bands bring out the magnificence of the Patina, the rich finish that platinum develops over time. Known for exceptional textures and finish in jewellery, platinum is a connoisseur’s delight and a designer’s dream to work on. Platinum Love Bands in combination finishes have been meticulously crafted to bring out the brilliance of the metal and evokes love. There is elegance in simplicity with these Platinum Love Bands in a smooth finish. Each time you slip it on to your ring finger it will touch a chord in your heart, reminding you of the love that you have for keeps. Platinum Love Bands in hi-polish and matt finish with a line of prong set diamonds for her. Your Platinum Love Bands speak of your steadfast love, which never comes to an end and is new each morning. Celebrate the love of yesterday, today and tomorrow as you unite as one with these exclusive Platinum Love Bands. Platinum Love Bands in an elegant design form that evokes beauty and romance. A half circle of pave set diamonds in her band, exquisitely accentuates around precious platinum. Modern Platinum Love Bands with flush set diamonds. Celebrate the royal feel of platinum with these superior finished Platinum Love Bands, accentuated with flush set round diamonds. In a complex world, these simple platinum beauties will remind you each day that you are there for each other till the end of time. A wonderful platinum duet! Sleek finished with laser cut patterns across Platinum Love Bands, with one single round flush set diamond in his ring and a string of diamonds in her ring. As you clasp your fingers in each other's hands, you will see a reflection of your love story in these bands. Did you know that platinum hails from a meteorite fall that took place 2 billion years ago? So you are actually wearing a piece of heaven with these dual finished Platinum Love Bands. And your love deserves nothing less than this beguiling treasure to commemorate it. A lustrous finish carved to perfection and intercepted with diamonds bringing alive the rich radiance of the metal. With these Platinum Love Bands you will want to renew your vows often, making each day special and looking forward to tomorrow. Gleaming diamonds in a solid block frame of precious platinum recalls the simple, classic style that will never go out of trend. As you close your eyes and hold each other’s hands, you will feel that tingling sensation of true love that is the everlasting kind. Crafted by expert artisans using a special technique, this zigzag cross-weave pattern forming a platinum braid is a mark of strength and endurance of the metal. It signifies the strong bond of love that you share with your partner. A design par excellence! Platinum Love Bands are an epitome of true love. These crinkle cut, dual finished bands with flush set diamonds, beautifully capture the uniqueness of your union, brimming with real emotions that will stay true for life. 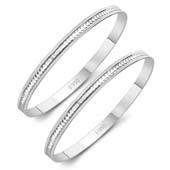 Plain Platinum Love Bands for him and with round channel set diamonds for her. Platinum is true to tradition yet contemporary in design form. These Platinum Love Bands have a seamless blocked pattern across in a progressive design form, inspired by the wheel which represents a cycle of continuity. The design is accentuated with diamonds for the woman's ring. Hi-polish and Matt finished Platinum Love Bands with centre flush set round diamond. Inspired by the various facets of the precious metal itself, these Platinum Love Bands have been crafted with layers of rich textures of platinum. 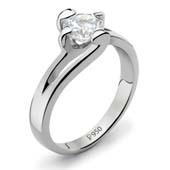 Rippled lines with a single flush set round diamond at the centre offsetting a beautiful platinum air-brushed finish across, creating a design that is modest, yet classy. Love is a feeling that you would like to hold on to for life! And these Platinum Love Bands will evoke that special feeling. Very stylish and modern and infused with the heritage of platinum; as you adorn these you will be walking down the aisle of eternal love. Platinum Love Bands in hi-polish and matt finish with pave set diamonds. Paying a tribute to minimalism are these simple yet elegant Platinum Love Bands. One side featuring a satin lustrous polish and the other side a superbly matt finished texture set with diamonds across an ‘x’ in the centre creating a new abstract design. Platinum Love Bands in a stunning chequered design with flush set diamonds. Geometric lines blend well with a hint of art deco aesthetics and celebrate the rich platinum finish in these very avant-garde Platinum Love Bands. Multiple textures and surfaces in chequered boxes, a stunning design that honours the iconic metal. Think about it, that moment when your eyes are set on this exclusive pair of Platinum Love Bands, with an excellent finish and a novel twist on design, you know you have found that perfect symbol to express your unique love. (Pt.Wt - 9.26 gm / D.Wt - 0.04 & 0.65 cts). Platinum speaks for the beauty of everything rare. The star-crossed lovers, the serendipitous love and that once in a lifetime love. These beautifully crafted Platinum Love Bands are an epitome of the journey of your rare love. (Pt.Wt - 8.4 / 4.85gms, D.Wt - 0.1 & 0.07 cts). Mark every milestone of your love that is precious to you with these irreplaceable Platinum Love Bands. Special moments need to be celebrated with a rare metal that wonderfully narrates the story of your journey in love. (Pt.Wt - 7.25 / 4.1 gm, D.Wt - 0.15cts). When you adorn these Platinum Love Bands, you embrace the uniqueness of your love. Let these love bands express more than words ever can as they signify your exceptional love. (Pt.Wt 8.02 / 6.69 gms, D.Wt 0.04 cts). Your love is ‘one of a kind’ in a lifetime, and nothing says ‘one of a kind’ like these artistically crafted Platinum Love Bands. Just as how nothing illuminates the fire in a diamond more than platinum, a one of a kind match that live together in perfect harmony. (Pt.Wt 5.23 / 4.23 gms, D.Wt 0.07 / 0.17 cts). Make these Platinum Love Bands the ultimate compliment of your precious love. Because what you share together is truly unique and rare platinum is representative of this unique love. (Pt.Wt 6.9 / 4.23 gms, D.Wt 0.04 / 0.1 cts). For that rare occasion when you can’t wait to say ‘I do’. Express your love with these simple yet elegant pair of platinum love bands – the perfect symbol of your rare love. (Pt.Wt 7.06 / 3.87 gms, D.Wt 0.12 cts). You found in each other a perfect complement for yourself. Pat yourselves on the back for this rare achievement in love and celebrate with these Platinum Love Bands. (Pt.Wt 6.8 / 4.2 gms, D.Wt 0.12 / 0.13 cts). Platinum with its individuality stands for the journey of your love; the crossing of paths and the entwining of hearts are reflected in these exclusive Platinum Love Bands. When you find a love so rare seal it with platinum. (Pt.Wt 7 / 4.5 gms, D.Wt 0.08 cts). It takes years to find something truly precious and you’ve come a long way to finding this rare love that you have. Tell her she is the centre of your universe and is one in a billion, as you exchange these solitaire set Platinum Love Bands. (Pt.Wt 6.8 / 4.5 gms, D.Wt 0.12 / 0.17 cts). Did it ever happen to you that at the first meeting the conversation kept flowing, you never wanted to stop talking? How rare is it to find someone so similar and yet different than you. Opposites attract to create something that is magical and one of a kind, like these platinum love bands! (Pt.Wt 6.89 / 4.6 gms). Precious moments such as your first walk together in the rain, candle light dinner beneath the stars or simply cuddling on a cold wintery day need to be treasured with a metal that is symbolic of that out of the ordinary love. These Platinum Love Bands studded with diamonds are befitting of your exceptional love. (Pt.Wt 6.78 / 4.2 gms, D.Wt 0.13 / 0.18 cts). “You say you are unusual and not like the others. I say it is your uniqueness that I fell in love with in the first place.” These classy Platinum Love Bands will be reminiscent of the very reason that you got together. Because you are two of a kind but share a love that is exceptional. (Pt.Wt 6.7 / 4.8 gms, D.Wt 0.16 / 0.18 cts). Real love is rare, and it’s the most beautiful feeling, don’t you agree? When you know you have found ‘the one’, the attraction is so rare that you find yourselves constantly drawn towards each other. These exquisite Platinum Love Bands holding solitaires represent that magnetism in your love. (Pt.Wt 7.89 / 4.1 gms, D.Wt 0.15 / 0.17 cts). The love you feel for each other is everything you ever dreamed of; it is perfection in its rarest form. As you adorn these Platinum Love Bands holding solitaires, it will bring a smile to your face as it will remind you each day that you have that special someone with whom you share something exceptional! (Pt.Wt 8.23 / 4.3 gms, D.Wt 0.1 / 0.15 cts). Real love is so rare and magnificent just like the wonders of the world. Declare your love with these Platinum Love Bands romancing solitaires, with her ring resembling one of the most romantic wonders of the world, the Eiffel Tower. (Pt.Wt 9.8 / 4.8 gms, D.Wt 0.12 / 0.3 cts). Just as Platinum Love Bands encircle the diamond in this elegant and unusual design, so is your love embraced by your many different gestures and special moments of togetherness. Treasure those rare moments with precious platinum! (Pt.Wt 7.68 / 5.92 gms, D.Wt 0.04 / 0.02 cts). The little things you do for each other and then overlook, only to remember them later as rare and precious moments which made you fall in love. Mark this realisation of real love, your Platinum Day of Love, with these dotted matt textured Platinum Love Bands, where each dot represents a beautiful memory in your journey. (Pt.Wt 9.66 / 8.38 gms). You are a reflection of each other, and how rare it is to find that perfect partner in life. Just like these beautiful Platinum Love Bands reflecting glimpses of light through textured grooves. A perfect memoir of your love! (Pt.Wt 10.2 / 6.2 gms). Only a few deposits of platinum were left behind after a meteorite crash 2 billion years ago. That is how rare and precious this metal is. And the love that you share as a couple is unequalled and deserving of this rare beguiling treasure. These immaculately crafted Platinum Love Bands have been designed keeping you in mind. (Pt.Wt 6.02 / 3.9 gms, D.Wt 0.04 / 0.15 cts). Too stubborn to make it work, too unwilling to let it go. Two of a kind together holding an undying rare love. These Platinum Love Bands are a mark of this rare love. (Pt.Wt 11 / 8 gms). You match on the surface, as much as you do at heart. Wasn't it love at first sight from the start? You match on the surface, as much as you do at heart. Wasn't it love at first sight from the start? These exquisitely elegant, satin-finish Platinum Love Bands celebrate your rare connection. (Pt.Wt 6 / 4 gms, D.Wt 0.04 / 0.02 cts). A bond sparked by friction and criss-crossed paths. The many moments you shared are etched as memories. So that you will fall in love again and again. She is full of ideas and opinions that flow like the wind. He is clear and single minded in focus. One is the heart, the other is the mind. Together a beautiful balance. The little joys one brings to the other. The many gestures you hold so dear. Yours wasn't an easy road. A journey of countless odds, overcome only because of extraordinary love.